150 tablets = 1 tablet per day = enough for 150 days! A wise combination to support your bones health. Calcium keeps our skeleton stable and strong. 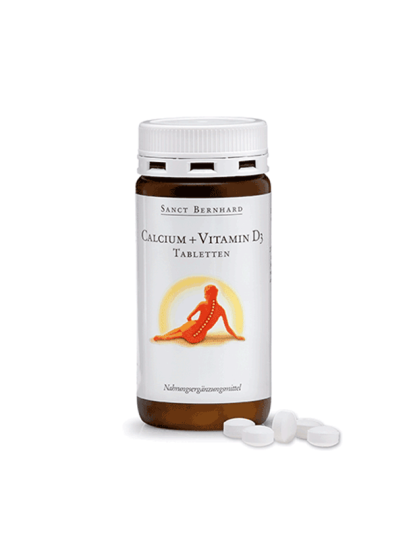 The importance of vitamin D3 lies in the fact that it increases the absorption of calcium. 1 tablet contains 400 mg of calcium, and so much calcium is contained in a large glass of cow's milk (3 dcl)! Drink 1 tablet daily with enough fluid, along with the meal.